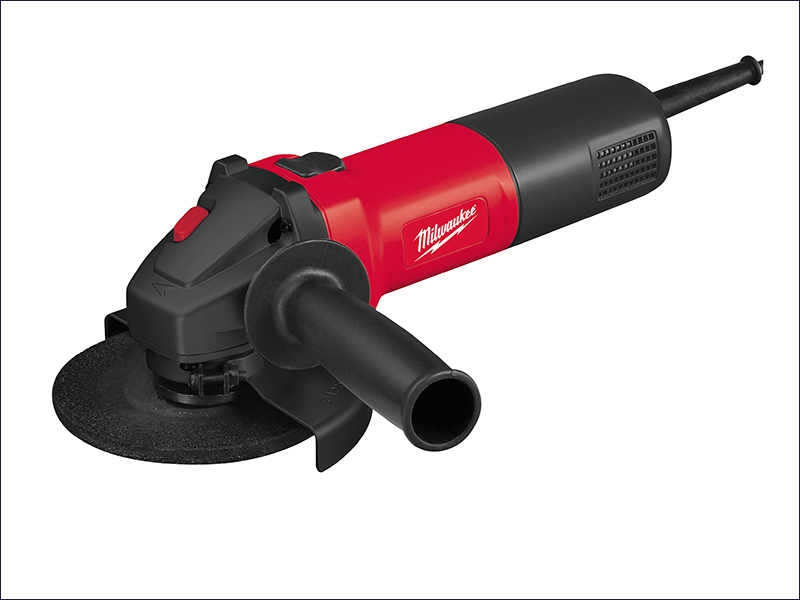 The Milwaukee AG 750 115mm Angle Grinder has a compact powerful 750 Watt motor. Its metal gearbox extends durability, whilst its gear head rotates at 90° intervals for added versatility. This metal gear head has a flat design for excellent visibility of the workpiece and optimised cutting depth. The AG 750 has a directed air exhaust, protected air inlets and has a spindle lock for safety. It has a safety guard, side handle, flange, flange nut.